An army doctor on Earth is puzzled by a soldier who returns from asteroid Y-3 claiming he’s a plant. As more men and women on the asteroid claim they’re plants, the doctor decides to travel to the asteroid to solve the enigma. During his investigation, he discovers the soldiers believe they have been turned into plants by natives in the asteroid’s woods called Pipers. 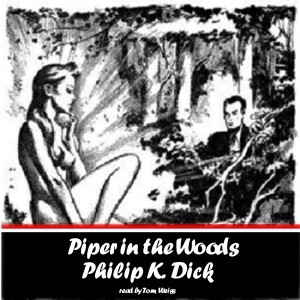 The doctor goes into the woods in search of the Pipers and discovers a strange young woman. On his return to Earth, he believes the soldiers are affected by stress rather than “Pipers”. He contemplates all the work that lies ahead of him to help the soldiers, unaware of what really lies before him.